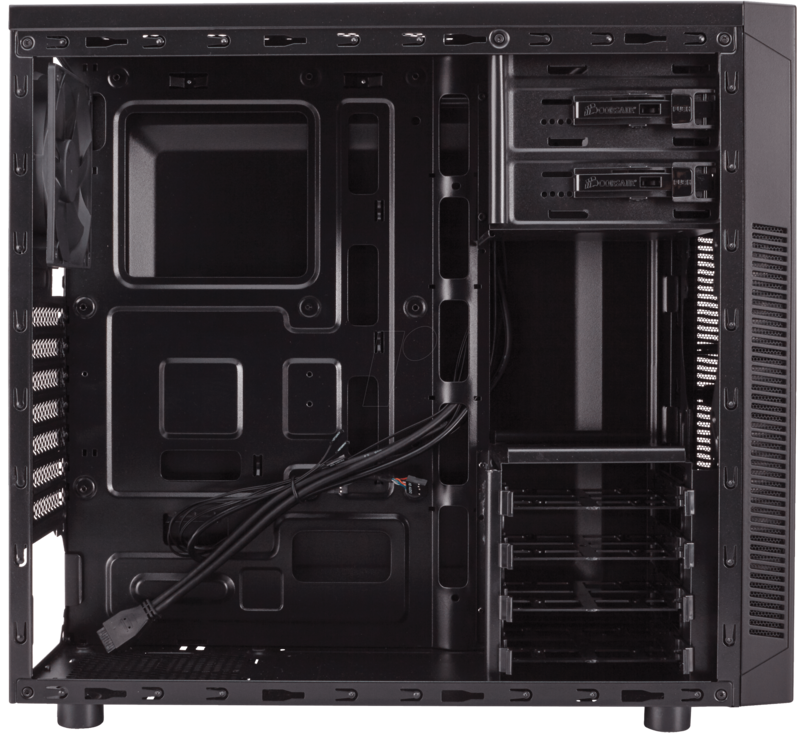 Elegant and modern on the outside, everything serious PC builders need on the inside. 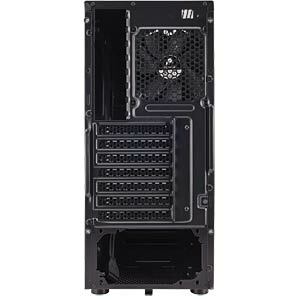 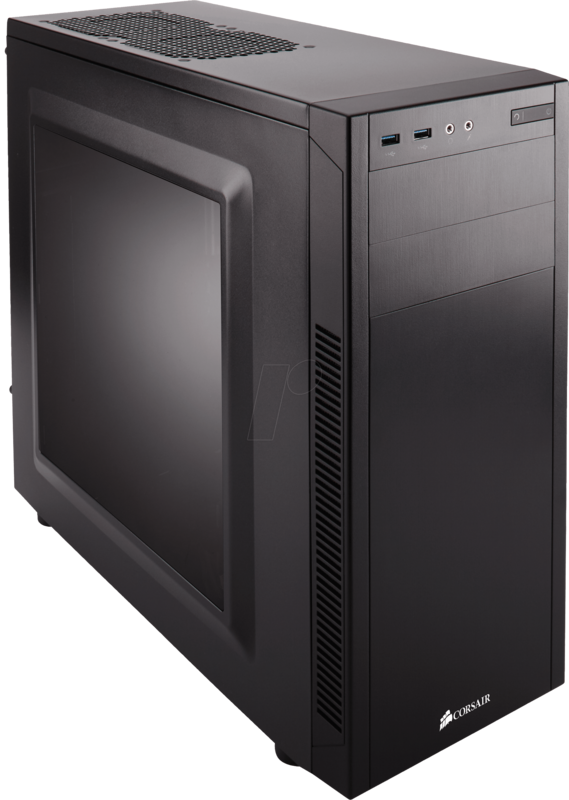 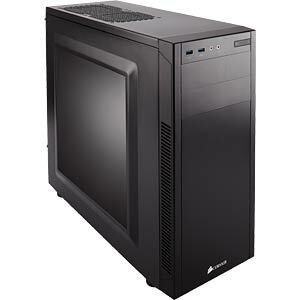 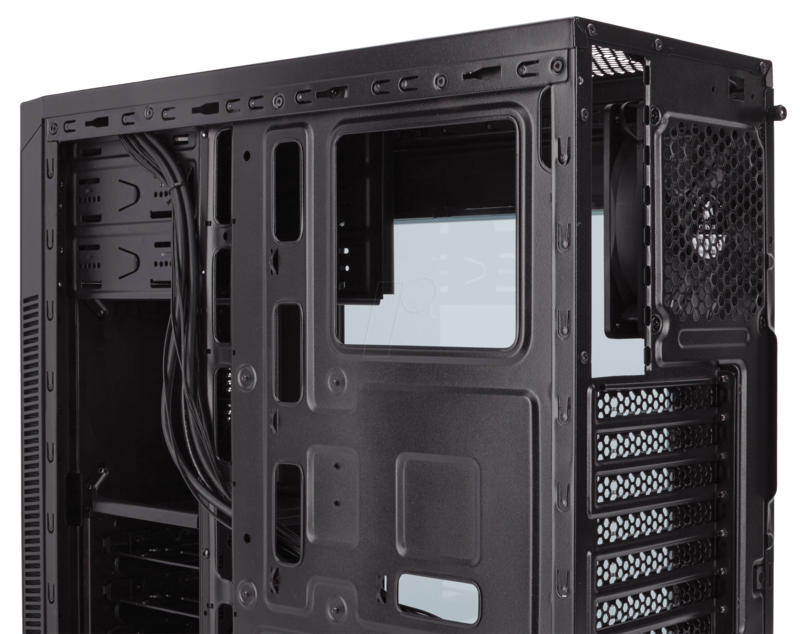 The Carbide Series 100R midi tower housing offers PC builders versatility in a clean, modern exterior design, which is well received by everyone. 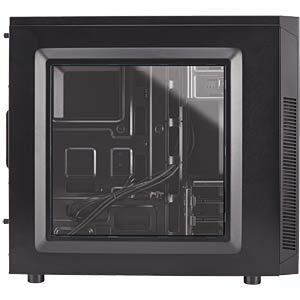 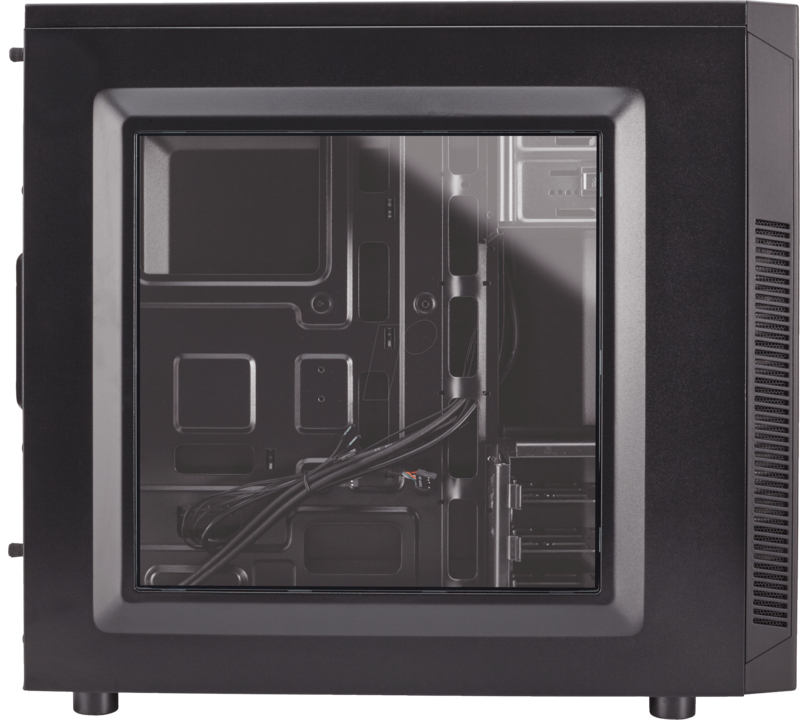 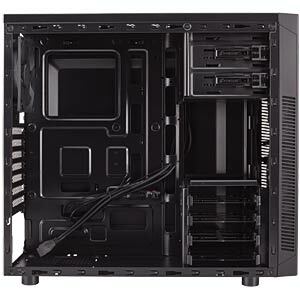 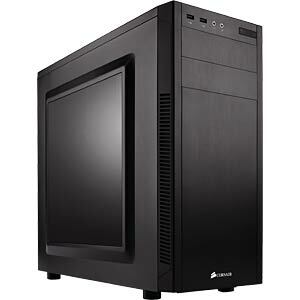 With tool-free access to the inside of the housing, a flush window through which all of your components can be duly admired and a variety of cooling options, this latest addition to the Corsair family has incomparable value. 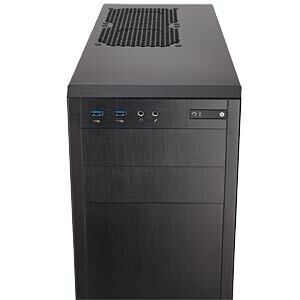 The performance PC platform in magic hat mode. 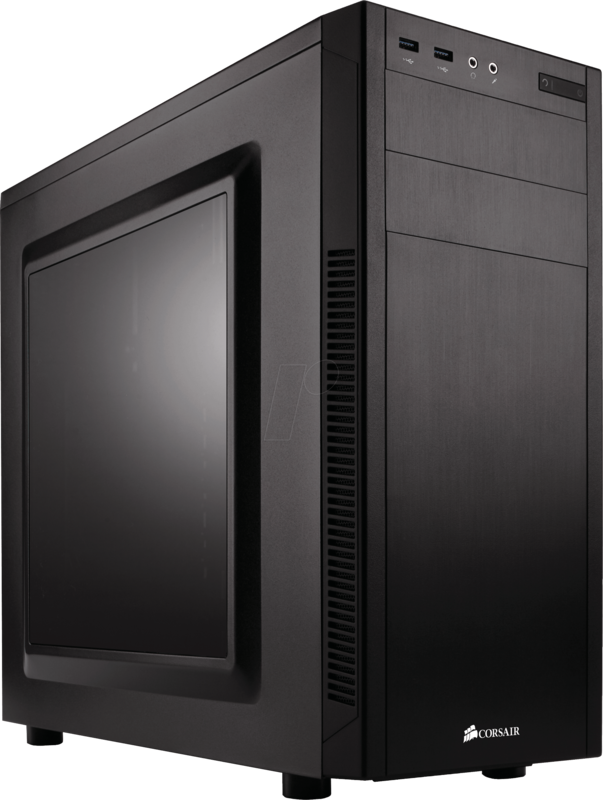 Thanks to the grid-free front panel, the flush window on the side panel and clear lines, the 100R looks good in the office but is also sufficiently adaptable as a home PC. 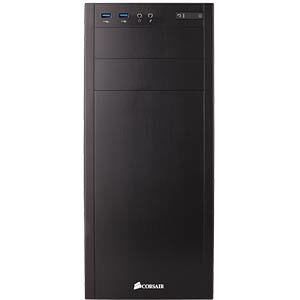 It is quite simply started with the tool-free installation of 3.5 and 5.25-inch drives. 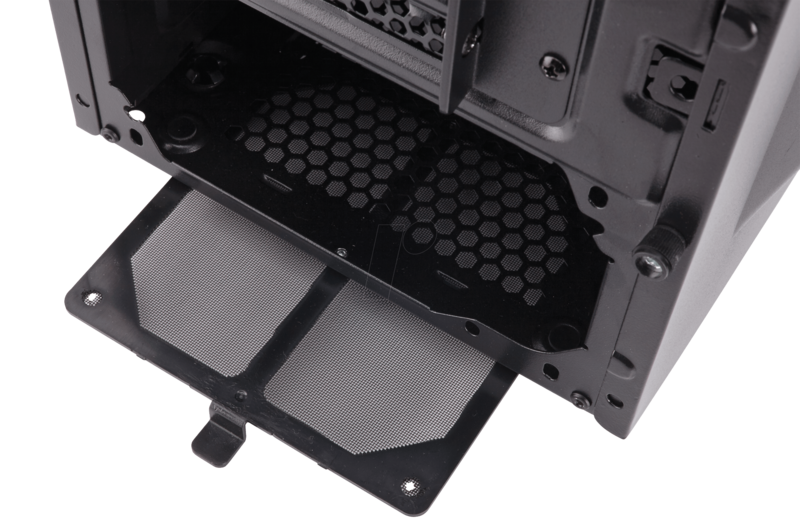 And all four hard disk compartments support SSD drives – in other words, you can mix and match devices. 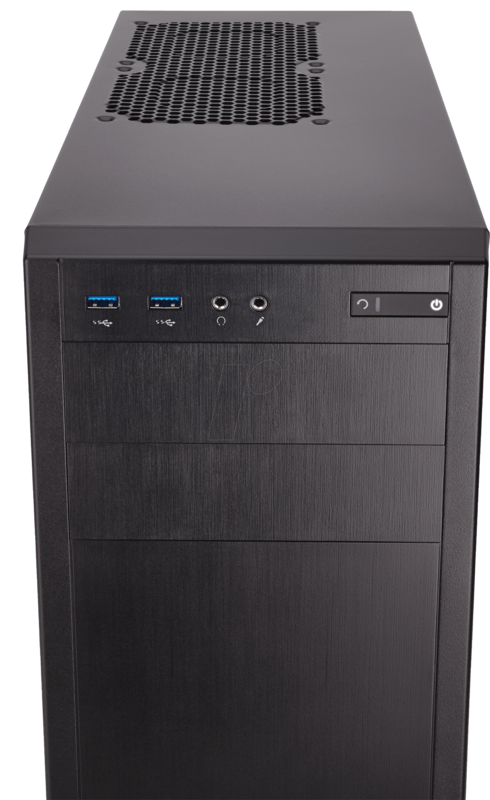 Two USB 3.0 ports on the front of the housing provide quick and easy access to the latest, super-fast portable hard drives and USB sticks. 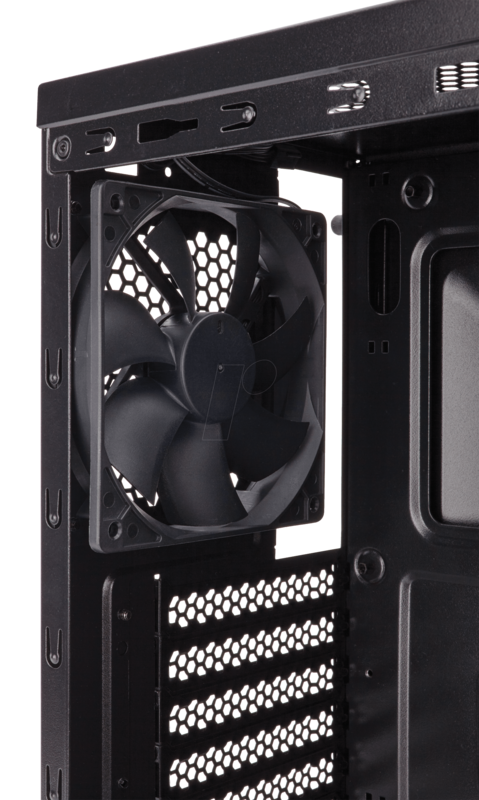 With five mounting points for internal fans, you can customise your thermal solution perfectly to your construction. 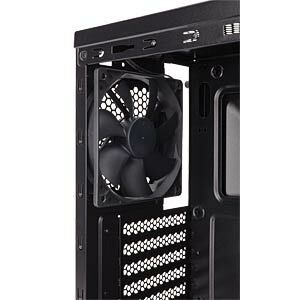 The 120-mm fan included in the delivery is only the beginning. 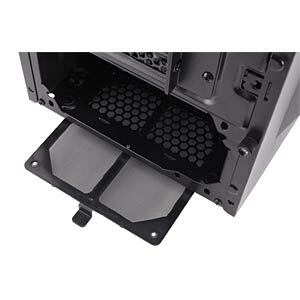 The housing is designed so that the air flow is routed directly to the GPU. 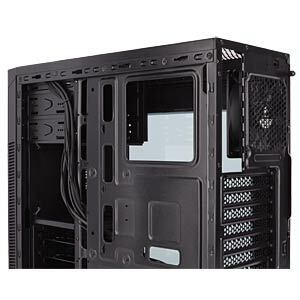 This ensures that your graphics card does not overheat, even during the most furious fighting. 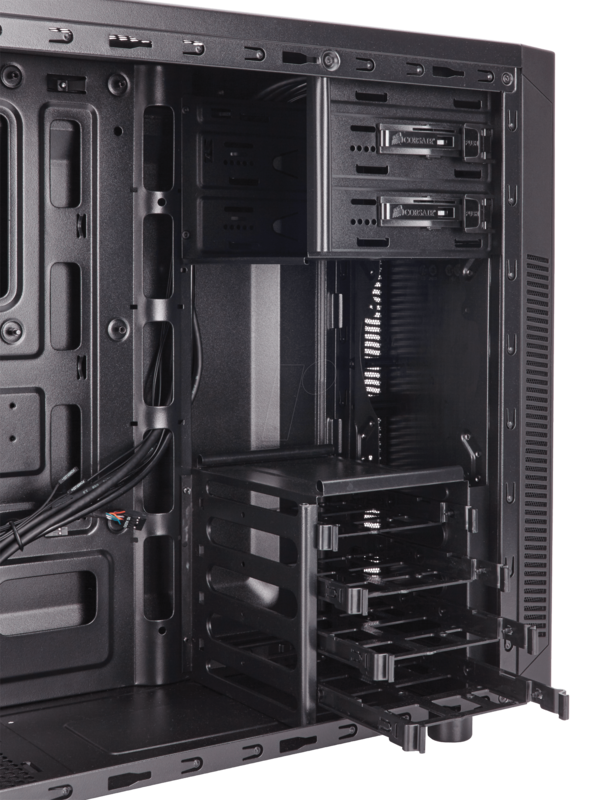 Whether you are building only one system or dozens – you of course expect an attention to detail that will make your task easier. 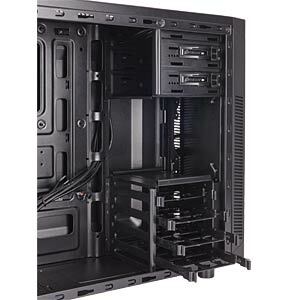 That is why you surely appreciate the cable management channels, with which you can easily organise cables and can give your system a better appearance, just like the side panels attached with thumb screws that you can remove and replace at any time without having to first look for a screwdriver.